Cat origami for kids is a fun way to introduce children to the craft of paper folding. Paper colored the same on both sides works best for this simple project. 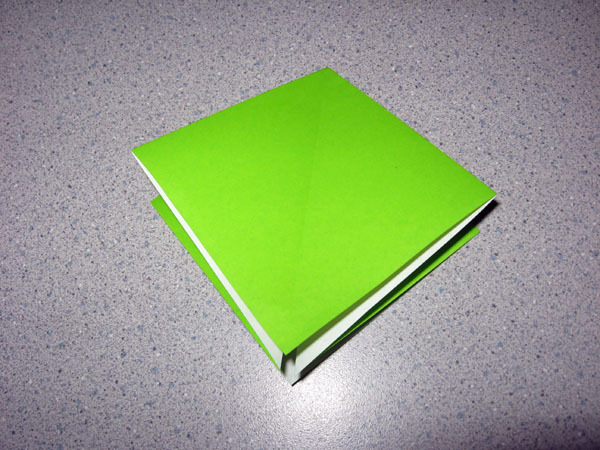 If you are using paper with a design on just one side, however, begin with the white side facing up. Fold the square in half both horizontally and vertically, unfolding each time. Rotate the paper so that one of the corners is now pointed up, like the photograph. Fold the corners to the center. Mountain fold the paper in half, towards the back. Fold down the corner from the middle. Form the ears of this cat origami for kids project by pulling the original corners of the paper straight up. Decorate your origami cat as desired. For more project ideas, please review Instructions to Printable Origami Animals and Origami Animals Instructions.